The model (right) was of Kell who was celebrating her birthday and the imminent arrival of her 3rd baby. 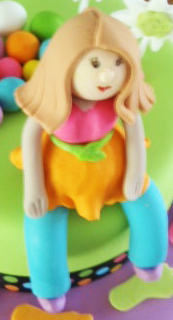 Again made with fondant but coloured with electric colours to add a cheerful brightness. On the left is one of my favourites - the figure on a tractor is the characature of Mr Jones the grape farmer form Mildura. I loved modeling the tractor as it was simple ... and that means I like! 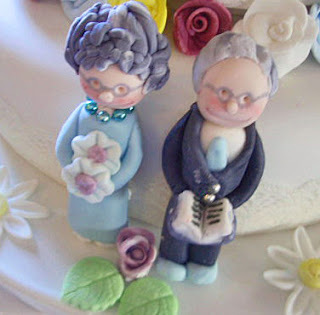 All moulded from fondant. Nev and Dulcie were celebrating their Diamond Wedding Anniversary. 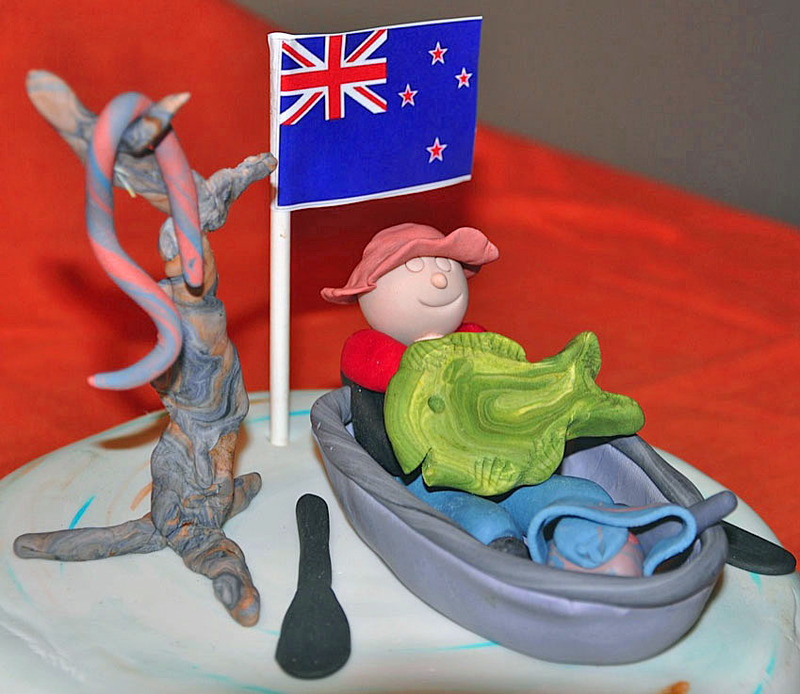 The fisherman sitting in his boat was made from fondant strengthened with tylose powder. 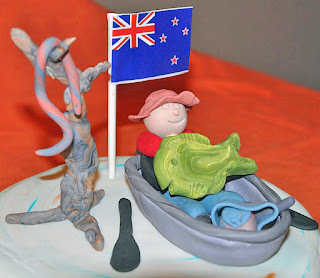 The boat or 'tinny' was shaped over some playdough until hardened. 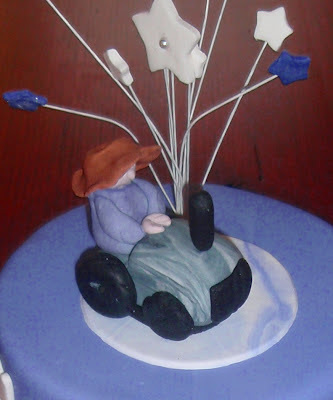 The tree was made with florist wire and then fondant was coloured and marbled and pressed around the wire form.